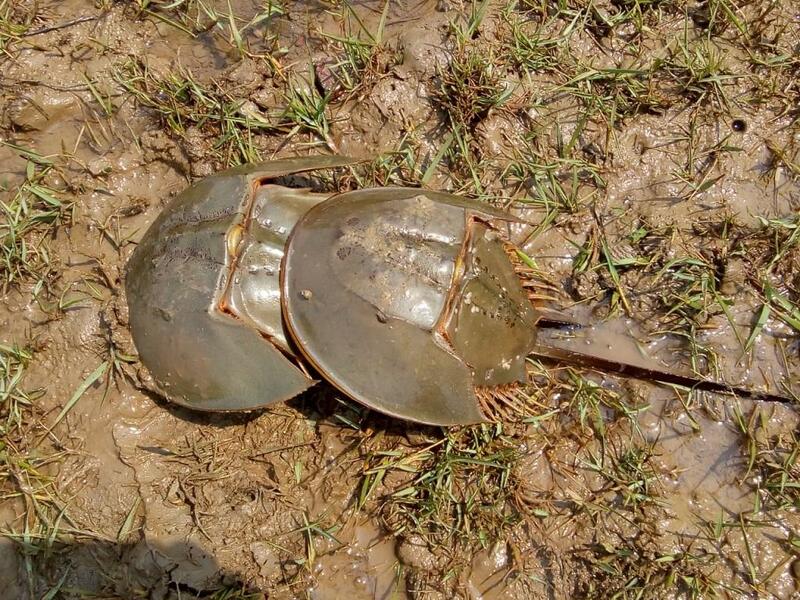 In an effort to save the endangered horseshoe crabs from extinction, the Department of Biotechnology has been releasing them in the sea for the past two years and by next month they would have released 1 lakh of them. This is being done under Sea Ranching of Horseshoe Project launched in January 2017 in Fakir Mohan University, which is situated in Odisha’s Balasore. The scientists are resorting to artificial insemination and incubation of fertilised eggs and larvae before releasing them in the sea to replenish the marine species in the region. In this project, new aquaculture technology for restocking, stock enhancement and sea ranching have been undertaken to restore the depleting population of the horseshoe crab along the Odisha coast. He adds that there is enough research to show that horseshoe crabs can reverse osteoporosis, diabetes, cancerous cells and can heal a damaged heart. Its blood is white and when it comes in contact with air, it turns blue. This signifies that it has copper in its blood and that it can detect any bacteria. “This makes it imperative to conserve the crabs” says the scientist. The indiscriminate exploitation of horseshoe crabs for various commercial purposes has resulted in the significant global decline of this creature in the past decades. “Environmental degradation and destruction of breeding grounds are also reasons behind their diminishing population. Along the coast of Odisha, two species of the horseshoe crab are abundantly found migrating to breed regularly. But unregulated fishing activities along the coast and unawareness among local fishermen about the crab’s economic importance are leading to their declining population,” says Siddhrtha Pati, another researcher and marine biologist at the university. Every year, horseshoe crabs die in large numbers after getting entangled in fishing nets. Recently, the scientists had found around 500 crab carcasses in Balasore district. While two decades ago, the horseshoe crabs were found in large numbers across the coast, the species’ presence is now limited to pockets like Balaramgadi, Chandipur beach, Khandia estuary of Balesore district, Eakakula, Madali and Hukitola beach in Kendrapara district. 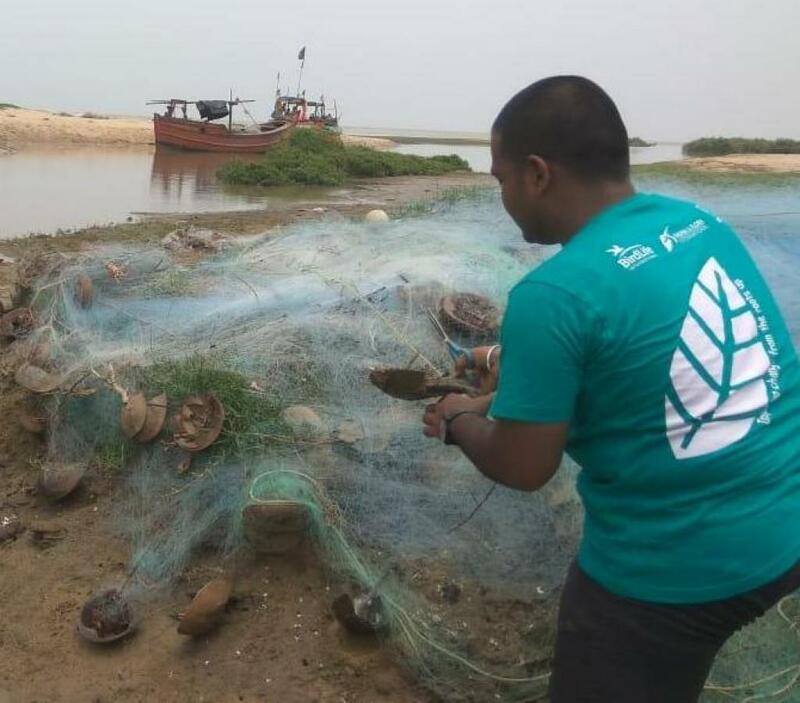 “We found many discarded fishing nets on the shore at Khadia estuary with 526 entangled crabs. And, of them about 60 were alive. We immediately cut the net and released alive horseshoe crabs into the sea,” added Pati. The marine biologist explained that this is because the fishermen leave their thick and deep sea fishing nets under the boat or just along the water line on the estuary after fishing. As the tide rises, so does the water level, thus letting the net spread in the water. So when the shore-bound horseshoe crabs approach the estuary for spawning—the process of laying eggs—they get caught in the net. The trawlers are supposed to fish beyond 5 kms as per the Odisha Marine Fishing Regulation Act, 1982, and beyond 20 kms from the coast in the marine sanctuary. But they fish near the shore and this results in the deaths of horseshoe crabs, adds Pati. Several government and non-government agencies and countries like Malaysia, Thailand and Saudi Arabia are helping Odisha conserve the species owing to their medicinal value in pharmaceutical, clinical and food industries.